Max Clayton captured Broadway audiences' attention in Gigi, On the Town and Something Rotten! Now the standout dancer is back on Broadway performing some incredible partner swing dance and understudying the lead role of Donny Novitski in the new must-see Broadway musical Bandstand. 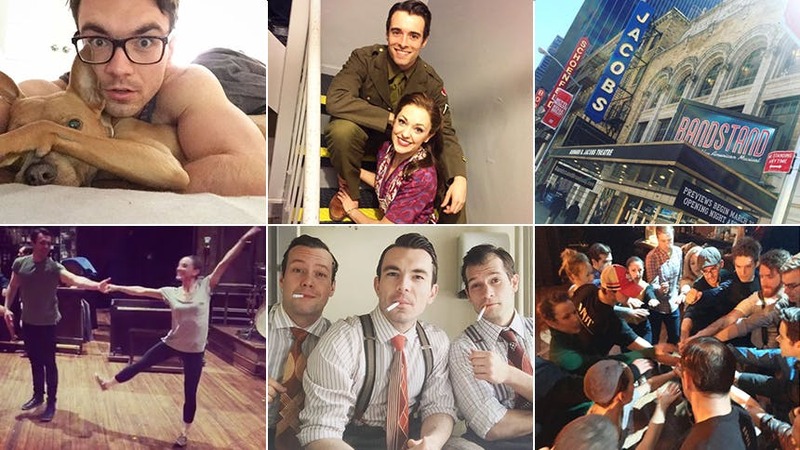 Max brought BroadwayBox Instagram followers along with him for the very first two-show-Saturday at the Jacobs Theatre. Scroll on to see all the behind the scenes fun. Head to Broadway's Jacobs Theatre to see Max Clayton and the entire gang live in Bandstand.